Ok these are fun. 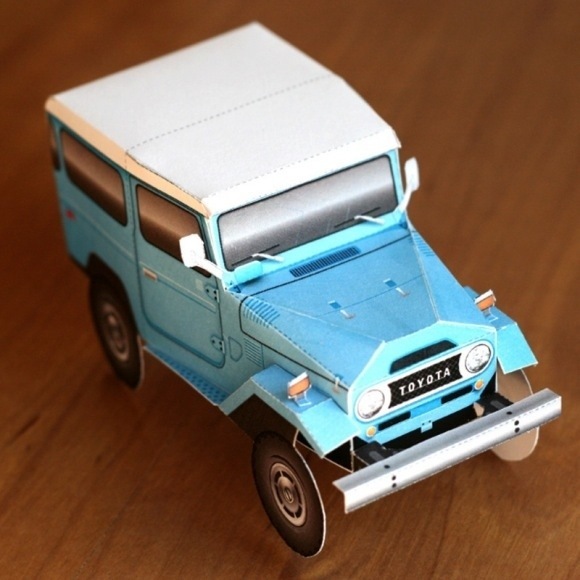 Paper Cruisers, downloadable, foldable, classic 4×4’s made from paper. 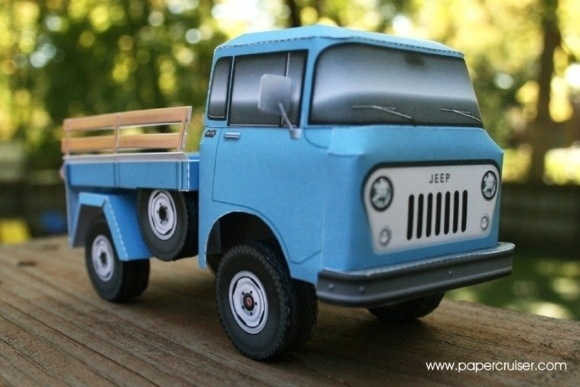 Created by Jesse Smith these are pretty amazing little paper sculpture kits. 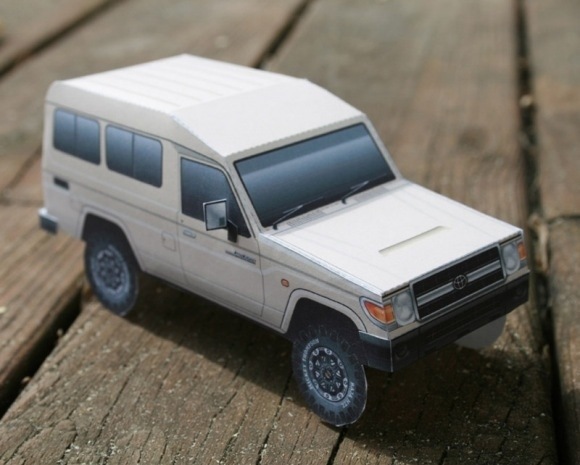 Recently Smith has expanded into an entire range of paper trucks, so now you can build an entire fleet of your favorite 4×4’s. And Smith is willing to work with you on the custom model of your dreams. 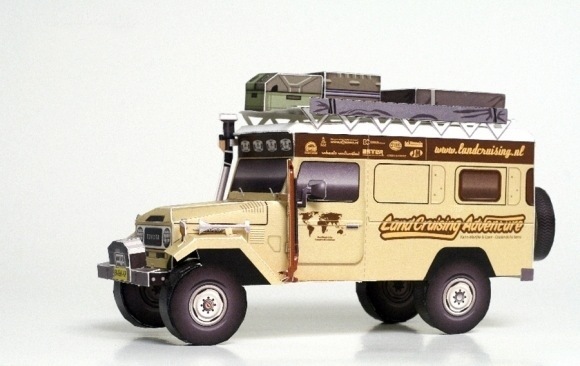 Each truck Smith creates has serious attention to detail, whether it be a classic like the Toyota Land Cruiser, Land Rover Defender, or the infamous Willy’s Jeep. Posted in Automobiles, Design and Art, Pure Fun. 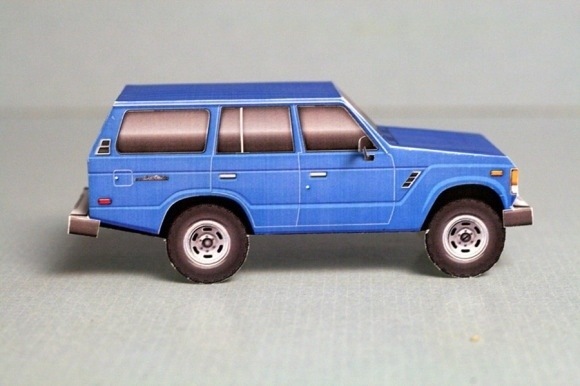 and tagged Fold Up Toy, Ford Bronco, Jessie Smith, Land Rover Defender, Paper Cruiser, Paper Fold Up, Paper Sculpture, Toyota Land Cruiser, Willy's Jeep on January 13, 2013 by Author.